Are you confused about buying a park home? Our park home site & living costs factsheet answers your burning questions. How much do park homes cost to buy? What does a park home purchase include? This can vary from park to park and you will need to agree the finer details with the park owner before proceeding to sign any documents or leave a deposit. Often the skirting, steps, pathways, driveway, connection fees to utility companies, and landscaping are included. Can I get a mortgage on a park home? No. Traditional lenders do not offer mortgages on park and mobile homes, however there are loans available. This is because typically park homes do not go up in value over time like traditional properties. How much does it cost to site a park home? Payable to the site owner, costs of siting a park home can vary depending on the size of your home, what amenities are included and where the park is located. 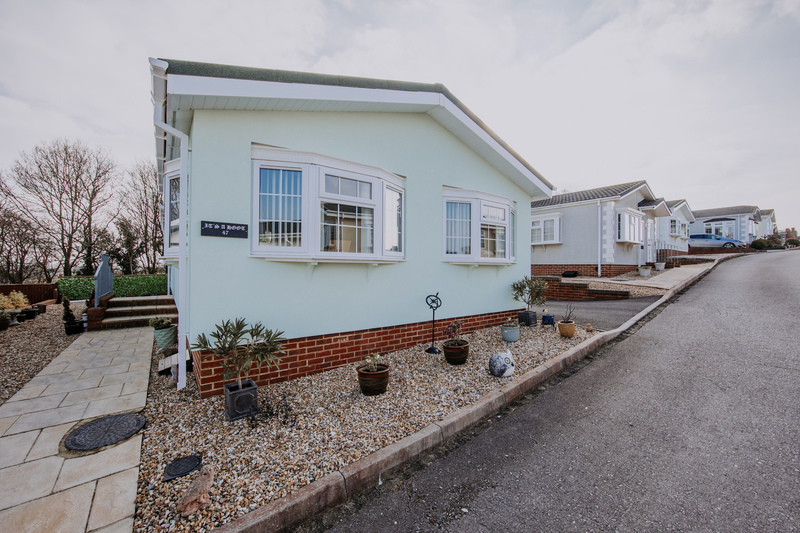 As things currently stand fees vary from £120 for a smaller basic park home in a less desirable area to £200 for a larger park home in a more inviting location. Do site fees go up over time? It is possible they may increase. When you buy a park home and site it your Written Statement (an agreement between you and the park home owner) will state the fees and how often they will be reviewed, a maximum of once per year according to the Mobile Homes Act 2013. They are usually reviewed to reflect the current rate of inflation and any additional charges to cover park improvements or maintenance of agreed amenities. The park owner will write to you and provide 28 days notice of any proposed changes. Under the Mobile Homes Act 2013, any new owner of the site is legally obliged to honour all of the existing arrangements. Site fees can be raised, but there are set procedures that a site owner must follow including putting in writing any proposed increase and a Pitch Fee Review Form must be completed. Should you feel that the proposed increase in unreasonable, you can take the matter to a tribunal within 3 months of the review date. Do I have to pay council tax on a park home? Yes. Usually this is the lowest band which is band A but be sure to check this with the park owner. Are park homes expensive to heat? With good insulation and efficient double glazing energy costs can be lower than a traditional home. Park homes are usually linked to the parks mains electric and this is billed directly by the energy company. Gas is either linked to the mains or runs off bottles. The draw back of bottles is that often residents can’t shop around for their own gas supplier and have to go with the sites supplier. The addition of external wall insulation can reduce energy costs by up to 50%. Ultimately park home living provides safe and secure living environment generally in a peaceful area for much less money. The quality of life and the extra money you will have to spend on other things that you need or holidays you can take should be taken into account when you are calculating the benefits of investing in a park home. The Mobile Home Acts 2013 gives homeowners important rights and responsibilities and it is in your interests to ensure you understand these before making your purchase. It is worth seeking help from a professional adviser who can help you with this. It is true to say that holiday and touring caravans depreciate in value over time. Park homes though can be slightly different, if they are solidly built, well kept and situated in a good location park homes can actually appreciate. Remember, the local property market conditions will have some influence on the park home value as well. How long do park homes last? You can learn more about Black Box park home refurbishments here or follow us on Facebook or Twitter for the latest offers, recent projects and park home ideas. Thanks for reading.